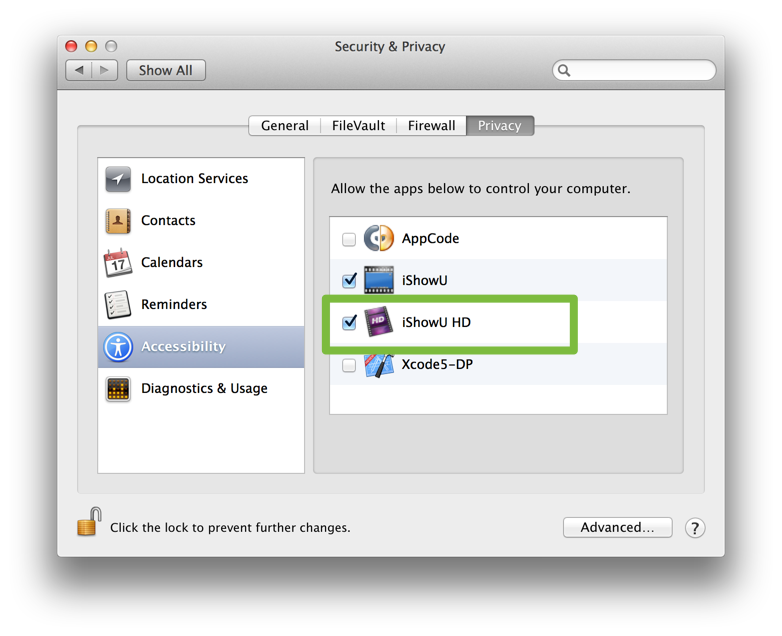 Ensure that the checkbox to the left of iShowU Instant / iShowU Studio 2 is enabled. Note that this doesn't mean iShowU is going to "control" your computer. The product is only "reading" key and mouse events as they happen. I made the changes. Capturing is dreadful. Everything is jerking all over the screen. I definitely am not going to make these changes. See absolutely no reason to do it. 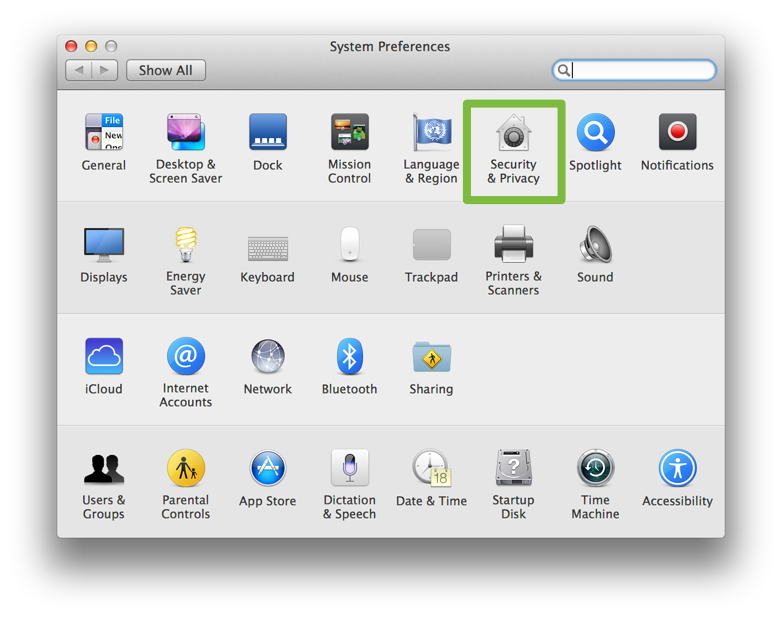 Was never necessary in Snow Leopard or Lion. Been using iShowU for four years and it has been great until the nag to enable assistive devices started. Besides that iShowU is a train wreck in Mavericks: sometimes records sometimes doesn't and audio is not very good most of the time. The capture border never appears now, instead I get a little colored blinking smudge in the bottom right of the Apple bar icon, which does not show me the part of the screen being captured. Also, it has been responsible for two totally black screen events requiring power cycling. The first of these occurred when the computer would not awaken from a scheduled sleep cycle and iShowU had been left open. The second happened when I responded to the nag screen by clicking Show Me. Without Assistive Devices enabled the keyboard shortcuts still work so why do I need to enable a potential RAD window? I'm so happy that I now can zoom in and out during my video tutorials!! Loving this!! Bonnie: We're happy to try to help with capture performance. We need details of your machine and capture settings. Probably best to talk with us via support@shinywhitebox.com. 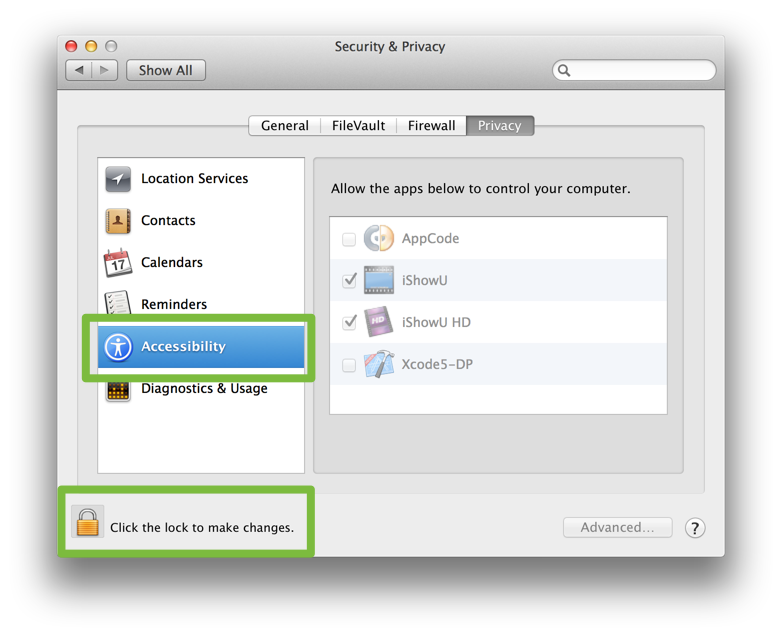 Ned: The reason it needs to be done (and it has always been required, just it was called 'Enable support for Assistive devices in 10.5 and 10.6) is that the app can't see the mouse clicks or key presses unless this option is enabled. Again, regarding cap problems happy to help. Please do email me at support@shinywhitebox.com.